When Kawika Kiapo sings “there’s a place where I come from on the east side of paradise, where blue meets blue and the ocean and the sky become one…” he’s talking about Gregory Harbottle’s childhood home of Waimanalo. The eighth of ten siblings, Gregory spent his early years living that beautiful song, a life where kokua (helping others without expectation) and ho’ohau’oli (having fun) were simply the way things were done. Nevertheless, after graduating from Kamehameha High School, this well-trained, proud son of veteran mechanic, decided it he’d had enough of Oahu, and it was time to explore the neighbor islands. He picked up his toolbox, took a chance and boarded a flight for Maui. Several years and many “learning experiences” later, Gregory found a niche that would later offer experience and opportunities that he could not have foreseen. Still in his early 20s, he began working as a bellman in the hospitality industry. But he didn’t just “do the job.” He watched. He observed. He learned. Uniform services, front desk, storeroom, food and beverage … all of it. 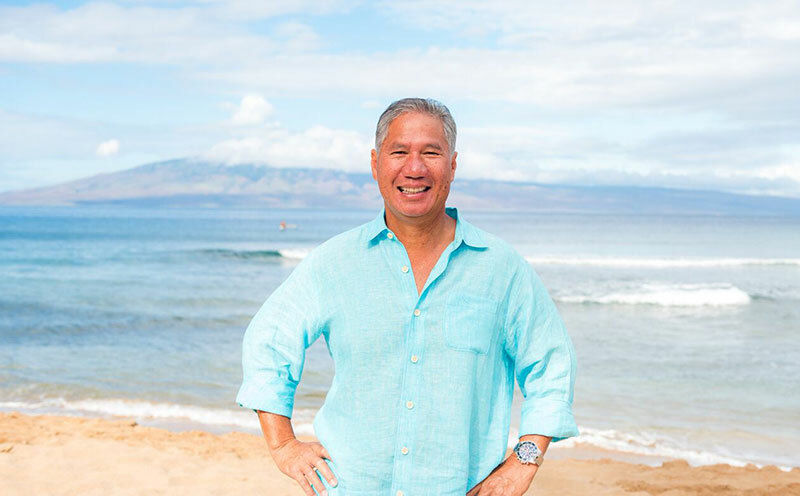 After two decades at the Kaanapali Alii, his natural curiosity led him to also understand the owner/operator relationship. And his upbringing served him well. Helping guests, owners and visitors was natural to him and, well, fun. He loved it. Soon it became evident to those around him that Greg was ready to grow into a new career. A respected, veteran realtor urged him to study for a real estate license. Thanks to the academic discipline learned at Kamehameha Schools’ ROTC program, Greg applied himself to the courses and became a licensed realtor. But that was over 13 years ago. Today Gregory Harbottle is consistently one of the top performers in his industry. Ask him why and he says simply, “Trust. I like to make people happy. If I help them connect with their dream home, then they’re happy, I’m happy, everyone is happy. And I’ve earned that trust.” And that’s the perfect place for one who learned early on to have fun by helping others, in the paradise where blue meets blue, and the ocean and the sky become one. Leah remembers the moment she “knew.” It was a typical afternoon. Having just left a meeting at the company for which she was a top sales representative, she was on her way to teach a college course on Child Development in Sacramento, California. As she looked at the six lanes of barely moving bumper-to-bumper traffic, Leah noticed the sticker on the car in front of her. It was two simple words: Live HI. It was a sign. “Live Hawaii.” In one instant, she understood all that it meant. Fast forward to the present day. 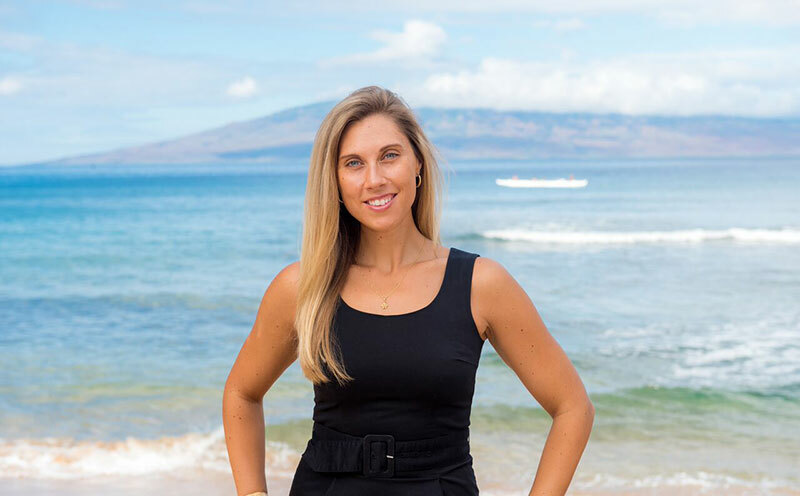 Now an active member of Keller Williams Luxury International, Leah Lambros is amazed at how the diversity of her professional background has prepared her for this moment. Years of sales experience has given her the ability to hone in on helping clients determine their priorities and distinguish their needs from their wants. Her Masters Degree in Research and Theory has helped develop a scrupulous attention to detail. And from the knowledge that repeat business was a healthy part of her success, Leah never forgot the importance of building a lasting bond with her clients. Although she loves the more relaxed lifestyle of Maui, it hasn’t diminished her energy or stamina. Within a few short years, she became president of her West Maui Business networking group and – after that – president of the Rotary Club of Lahaina. Her continued commitment to Rotary fuels a desire to give back to the community.